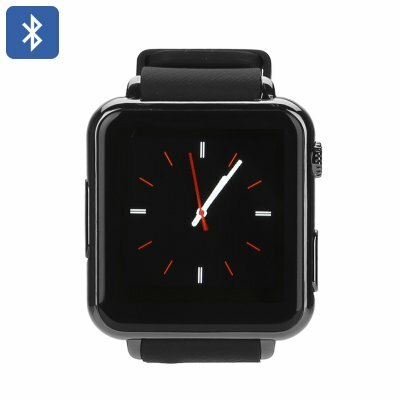 Successfully Added Iradish Y6 Bluetooth Smart Watch - Pedometer, Notifications, Bluetooth, 4 Band GSM SIM, Sedentary Reminder (Black) to your Shopping Cart. Enjoy all the features your smartphone has to offer straight from your wrist with this Bluetooh smart watch phone. Allowing you to pair this stylish little smart watch to your smartphone you’ll be able to make and receive phone calls, listen to music, and even snap decent quality pictures. By supporting up to 32GB of external data this phone watch offers more than enough space for you to save music and data alike, ensuring that you’ll always have your favorite media at hand. Simply insert a SIM card into this beautiful little smart watch and you’ll be all set to enjoy all its features. Coming with a built-in camera this watch phone even allows you to snap nice and clear pictures from your wrist. From now on you can be assured that not a single special moment in life gets forgotten again as with this smart watch you’ll always have a camera within reach. With its beautiful 1.54 Inch display, this phone watch provides you with clear and pin sharp visuals, allowing you to easily operate your smart watch even in bright sunlight. Along with its 350mAh battery, this watch allows you to enjoy all its features for numerous hours before needing to worry about running out of juice. With this phone watch at your wrist, you can be assured that you’ll always stay connected to all your friends and family, no matter where you’re located. Coming with an abundance of healthy features, this smart watch does not only improve your connectivity, it also helps you build towards a healthier lifestyle. Featuring a pedometer this electronic gadget counts each and every step you take while, at the same time, counting the amount of calories you have burned during your exercise thanks to its advanced calorie counter. After work out this magnificent little device keeps track of your sleeping rhythm, allowing you to build on your health and lifestyle even when you’re not physically active. This phone watch comes with a 12 months warranty, brought to you by the leader in electronic devices as well as wholesale electronic gadgets..